Do you need High Speed Internet in the middle of the desert for a convention or other event? LV.Net can provide access to High Speed Wireless Internet in the middle of the desert, in many remote locations, and in some areas of the surrounding states as well. LV.Net provides High Speed Wireless Microwave Internet with speeds up to 1Gbps. No cable installation is required. Installation can often be quick and is hassle free. LV.Net has over 18 years of experience in providing high quality Internet access in Nevada. We offer round the clock technical support, 365 days a year, with excellent customer service. Our technical support team is very knowledgeable and well trained. Microwave radio transmission is a very reliable technology. It has even been used for deep space radio communications applications. The High Speed Wireless Microwave Internet technology provided by LV.Net is guaranteed to provide dependable service regardless of the conditions. Internet service is typically provided by directional antennas and radio relay installed on towers. 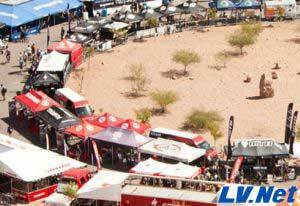 LV.Net is likely to be able to provide High Speed Wireless Microwave Internet access for your next event in the middle of the desert or other remote area in Nevada. Please give us a call 702.900.0000 and inquire.